Your ads are only useful if the right audience gets to see them, right? That’s where Perfect Audience comes in: this solution allows you to retarget your audience across multiple platforms in order to make sure you reach the right people at the right time. By creating a Perfect Audience dashboard, you can measure how effective each campaign is and what you can do to optimize your ad retargeting efforts. Create your Perfect Audience dashboard today! 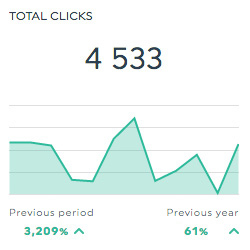 This historic widget shows the total number of clicks your ad received. This includes clicks on the ad content and your company name and logo, but excludes some social actions such as likes, comments, and shares. 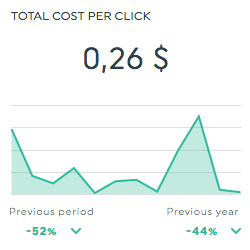 This historic widget shows the average cost of each click on your ad, which is calculated by dividing the total spend by the total number of clicks. 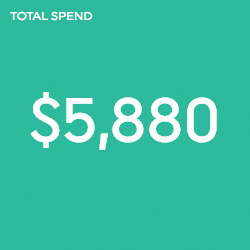 This number widget shows the total amount spent on your ads, which includes the cost of both your clicks and impressions. Want to see all our Perfect Audience preset widgets? This is the average cost of each click on your ad, which is calculated by dividing the total spent by the total number of clicks. This is the percentage of how often people go to your website because they saw your ad. 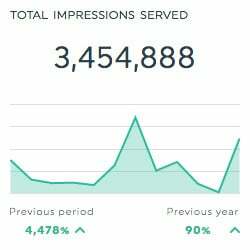 It is calculated by dividing the number of clicks by the number of impressions and multiplying the result by 100. This dimension allows you to isolate your data by page path (where the visitor coming from your ad ultimately landed). Want to see all our Perfect Audience metrics, segments & dimensions? How do I create a dashboard report for Perfect Audience?